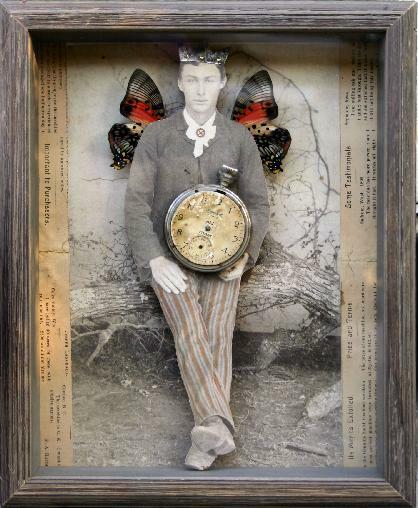 Stephanie Rubiano creates collages out of antique photographs, real butterfly wings and textual elements such as vintage letters and old documents. 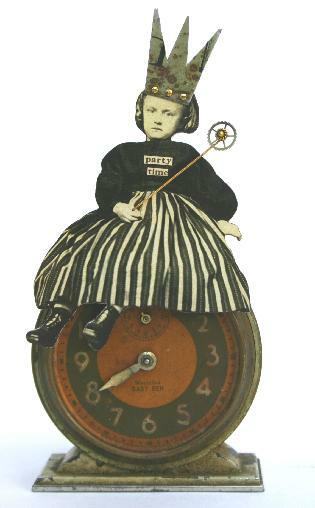 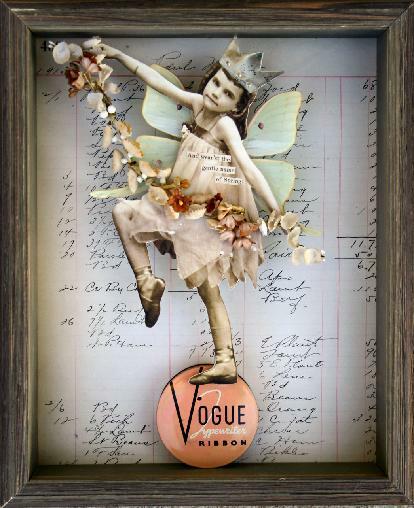 Each antique fairy collage is unique, made up of whimsical ideas that capture the artist’s imagination at a certain point in time. 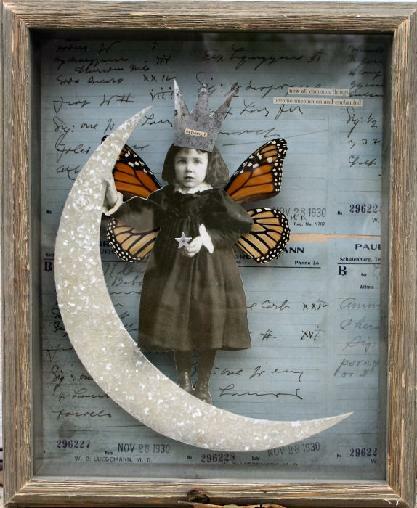 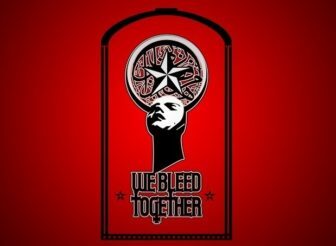 Rubiano’s creative portraits include symbolic elements such as crowns (royalty and superiority), flowers (femininity, newness, life) and butterfly wings (change, rebirth and beauty). 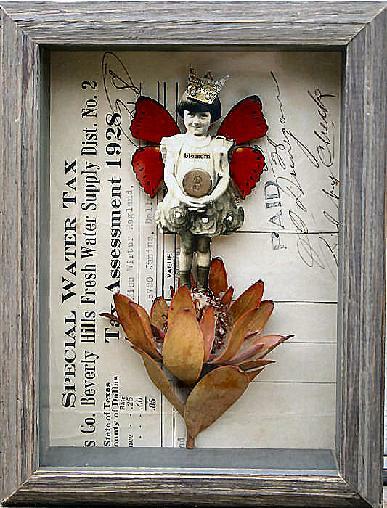 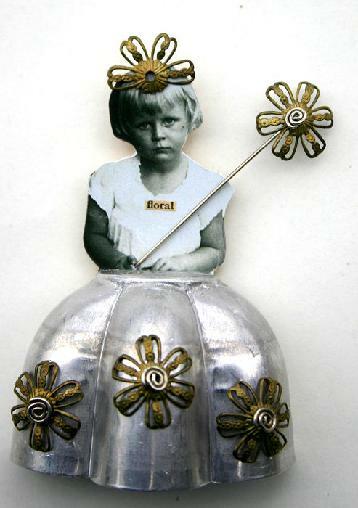 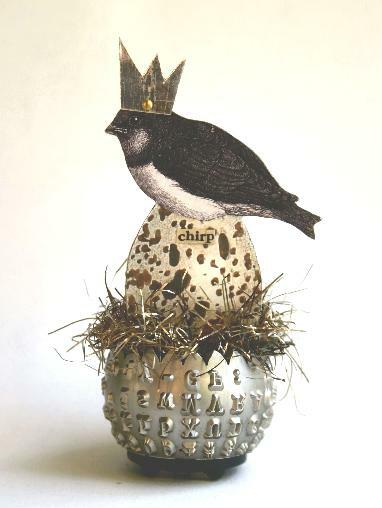 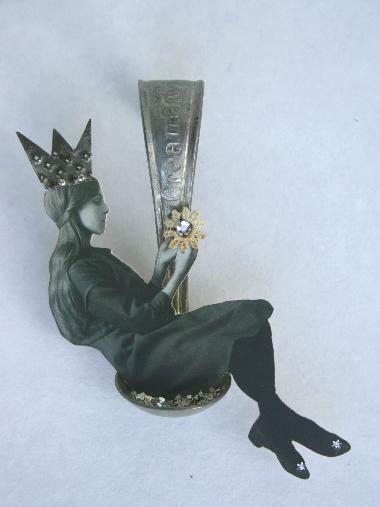 The appeal of Rubiano’s collages lies in the history of the found objects that she includes in the art work. 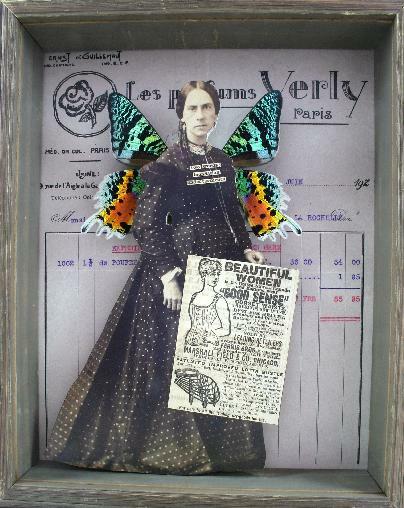 Antique letters and vintage adverts lend character to the collage, giving a new piece of art a piece of history. 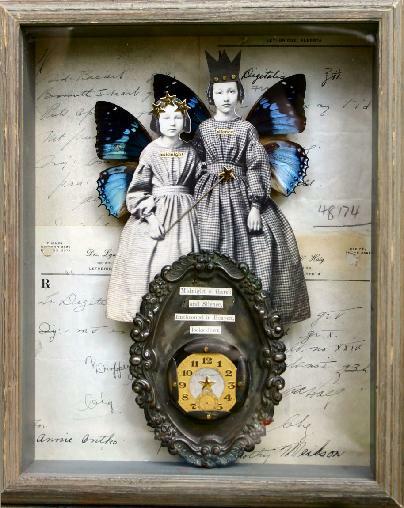 The elegance and detail of the Victorian era finds a place in Rubiano’s work, reflecting a time when the world had become fascinated with fantasy creatures and the supernatural. 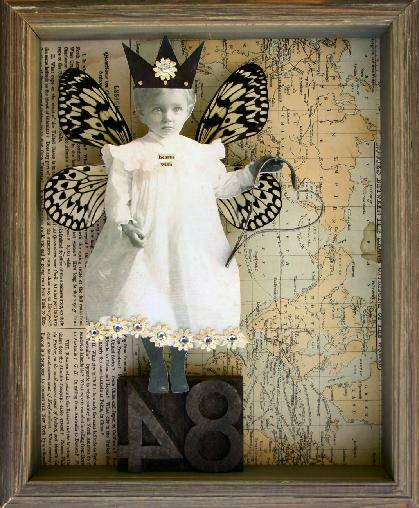 To see more work by this artist, or to buy a one-of-kind antique fairy collage, visit Stephanie Rubiano’s website and online art gallery.